For u9699 (and other old created character which quotes u961d-01), the leftward complex hook stroke in png and svg files do not match. For example, http://en.glyphwiki.org/glyph/u961d-01.png vs http://en.glyphwiki.org/glyph/u961d-01.svg and http://en.glyphwiki.org/glyph/u9699.png vs http://en.glyphwiki.org/glyph/u9699.svg. 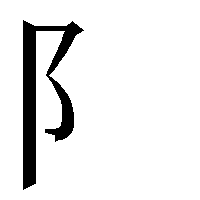 However, for newly created glyph, e.g. hka-bbd8, which is alias of u9699, the leftward complex hook stroke match for png and svg. The main problem is was the change in the shape of leftward complex hook stroke intentional, and should the hook stroke touch the downward stroke or not? This bug occur for all new glyph. Example is visit http://en.glyphwiki.org/wiki/test-kagebug?action=preview&textbox=99:0:0:0:0:200:200:u5415:0:0:0 or http://en.glyphwiki.org/wiki/test-kagebug?action=preview&textbox=99:0:0:0:0:200:200:u8425:0:0:0 or http://en.glyphwiki.org/wiki/test-kagebug?action=preview&textbox=99:0:0:0:0:200:200:u5705-g02:0:0:0 and you find the preview is incorrect. UPDATE 2:43 JST u5cb3-g and u5cb3-t become corrupted even though u5c71-t04 and u5c71-g04 is correct. UPDATE 18/4/2015 20:10 JST u9974-g, u9974, u2159a, zihai-146619, zihai-143633, u29730, which is edited by other users, are also corrupted now. 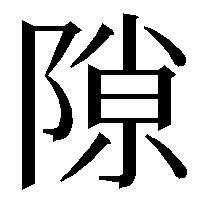 I'm trying to say that any other 非漢字 glyphs (like u0041, u3004) can be submitted without 関連字 (their 関連字 is 〓 but they were submitted without any problems), but Yijing Hexagram Symbols cannot be submitted no matter what. I'm wondering why do Yijing Hexagram Symbols only have that restriction. 0:[^$]+$' and b.data ~ '^99:0:0:0:0:200:200:[^$]+$' and substr(a.data, 20) = c.